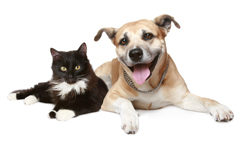 We are excited to welcome pets home to Bexley at Harborside! Visit our leash free community dog park, where everyone knows your dog's name! Ramsey Creek Dog Park, a favorite local spot for dogs of all ages and sizes, is only 1 mile away. You can also take your pet for a stroll around the neighborhood. There is a nearby greenway that dogs love.